We’ve all experienced bowel trouble at one time or another. But for some people, cramping, excess gas and loose stools (or not so loose stools) are all too common of an occurrence. If you suffer from these symptoms, you may have a condition called IBS, or Irritable Bowel Syndrome. 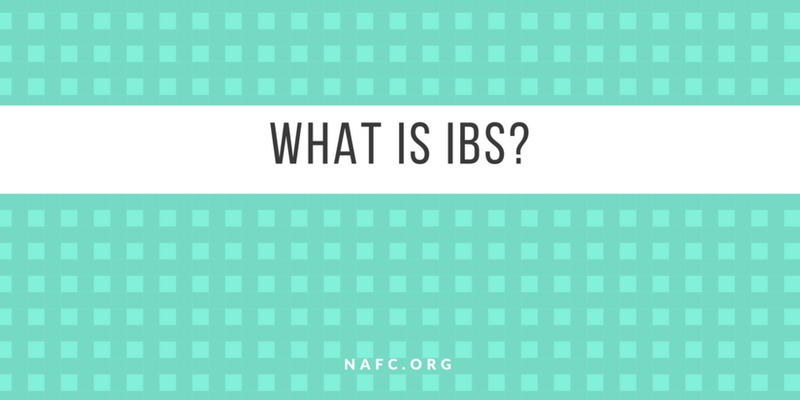 IBS is a gastrointestinal disorder and is not the same as IBD (Irritable Bowel Disease), which is a more serious condition and can cause more severe complications. It’s not completely clear what causes IBS, sometimes referred to as spastic colon, but many experts believe that people with IBS simply have a more sensitive colon. Things such as changes in your gut bacteria could have a greater effect on you than on others. Some experts also believe that the condition is a result of problems with brain-gut interaction, or how your brain and gut communicate with each other. And, just like other conditions, such as overactive bladder, IBS has it’s own triggers. Depending on your symptoms, different foods may be causing you problems. If you suffer from constipation, some foods, such as breads and cereals, processed foods, high-protein diets, and dairy products (especially cheese) can contribute to you symptoms. If you’re making more trips to the bathroom because of diarrhea, things like too much fiber, large meals, fried and fatty foods, and dairy products can be a problem. And for either symptom, you should avoid caffeine, alcohol, or carbonated beverages. It’s not just what you’re putting in your body that can have an effect on you, but how you eat can also impact your IBS symptoms. Eating too fast, or with distractions (like eating while you work or drive) can increase symptoms of IBS. Make sure to eat slowly and without disruptions. Stressful life events, or even certain mental conditions such as depression, can bring on symptoms of IBS. Learning ways to stay calm and manage stress can be helpful tools in managing IBS symptoms. Many women with IBS often experience an increase in symptoms around their menstrual cycle (in fact, 70% of people who live with IBS are women). While you can’t prevent your menstrual cycle from happening, it may help to find ways to better manage your symptoms. Birth control pills can sometimes lessen the effects of your periods, which may also help with IBS symptoms. Simply put, exercise can keep things moving if you’re suffering from bouts of constipation. And, as a widely known way of banishing stress, it’s helpful in keeping you calm and stress free, which can eliminate another trigger of IBS symptoms. IBS is a common disorder affecting up to 20% of US adults. IBS is not an old person’s condition either – it strikes young, often occurring in people before turning 35). The majority of sufferers are female (70%). While not proven to be hereditary, people who have had family members with IBS may be at a greater risk for developing the condition themselves. Diagnosis for IBS is typically done at a doctor’s office through blood tests. If you suspect you have IBS, make an appointment with your doctor to discuss your symptoms, and get tested for a diagnosis. If you suffer from a lot of anxiety, or have experienced a traumatic event, speaking with a counselor can help you work through some of those feelings and may help ease your IBS symptoms in the process. Making some changes to what you eat can have a big effect for some people experiencing IBS symptoms. Try eliminating some of the problem foods listed above to see if you experience any relief. This technique involves training your body to have more control over your bowels, and has been proven an effective tool in managing IBS symptoms. Learn more about biofeedback here. Practicing mindfulness meditation has been shown to result in a reduction of IBS symptoms. Mindfulness meditation involves focusing on the present moment and has been thought to reduce stress and calm the mind. Depending on your symptoms, your doctor may be able to prescribe medication to help you manage. Fiber supplements or anti-diarrheal medications can help manage constipation and diarrhea, and antidepressant medications may help you manage symptoms of stress and anxiety, which are common triggers of IBS. There are also medications specifically approved by the FDA to treat certain symptoms of IBS. IBS can be a very painful and debilitating condition for some people, and while it is not life-threatening, it is a long term condition that should be treated. Speak with your doctor about your symptoms and work with him or her to find a treatment option that works for you. Ask The Expert: What's The Difference Between IBS And Crohn's Disease? What I've Learned About IBS And How To Treat It.